Items were purchased with blog funds but the links are affiliate. My problem with makeup is that I’m lazy. I want stuff to do 3 different functions as they should given the high price we pay for it nowadays. 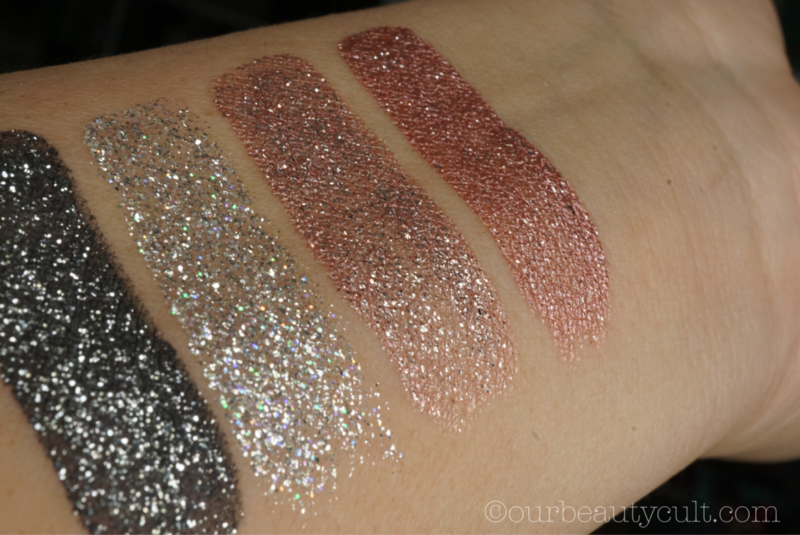 Now: yes I liked the Stila liquid eyeshadows but for the heavy glittery ones, please use a glitter glue. I thought the medium it came in was binder enough and quickly discovered that it wasn’t by the form of glitter all over my face in a 1st grade art project fashion. 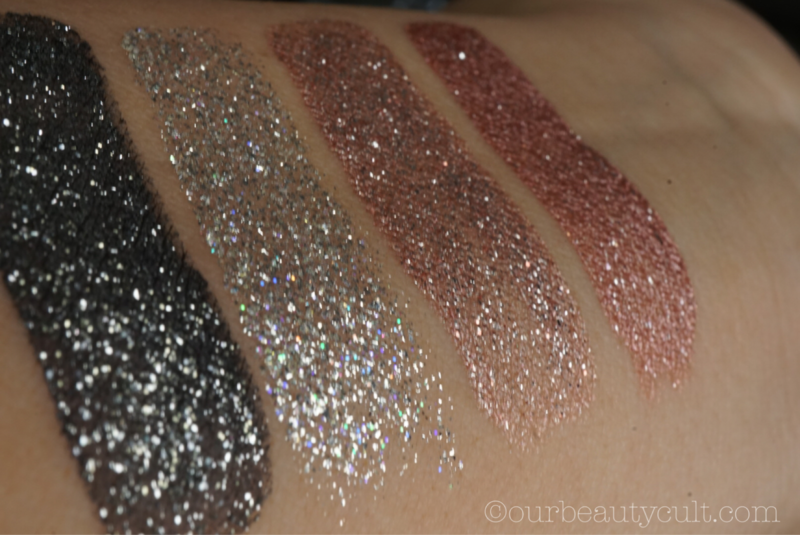 Even if you think the glitter feels like it’s put: no. It’s not. It does what it wants. Use glitter glue accordingly as a base. I purchased these 4 after a long month of eliminating shades and swatching in store and talking myself out of getting them all. They are pretty!!!!! But they are also $24 so I decided that since I was only going to spend $100 I needed to pick the ones I would get the most out of. 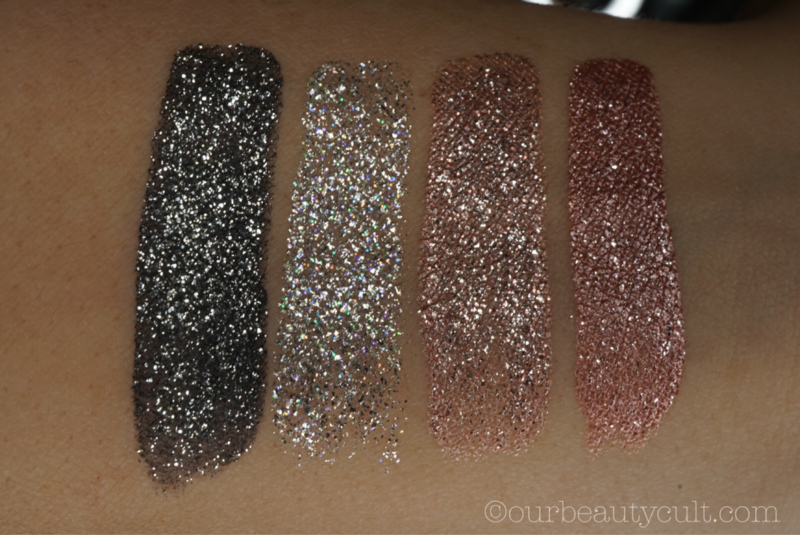 I skipped the golds because I have ton of gold shadows and foiling them on my lid is second nature, I am sure if you’re a Gold wearer you will pick any of these but to me they were redundant. MOLTEN MIDNIGHT: it’s a black bases with glitter shadow, it’s hard to blend the black over a look unless you are wearing very dark eyeshadow already – as the black is really really black. So use these over smokey eyes. DIAMOND DUST: the best of them all and the only one you need really, if you apply this over a black base you have MOLTEN MIDNIGHT, if you apply over the Rose Gold retro shade, you’ll have Kitten Karma. It’s bright with silver pink and teal glitters. Use glitter glue! KITTEN KARMA: it’s gorgeous as a peachy glittery topper. ROSE GOLD RETRO: this one was more metallic than glittery and gorgeous on its own over a neutral eye. 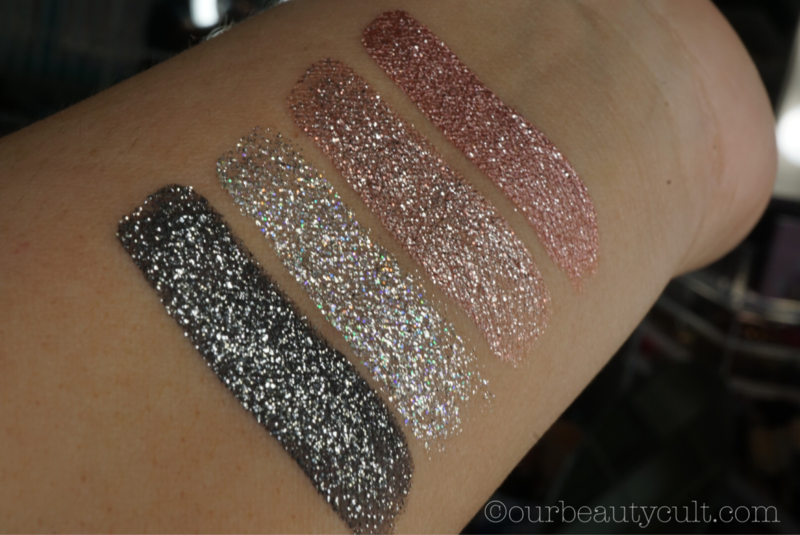 If you are a fan of rose gold then pick this one along with Diamond Dust and you’ll basically have all 4 of these. Bam! Saved you $50 you’re welcome. You can buy them at Sephora HERE or the new ones recently dropped at STILA HERE. Next First YouTube Vid! 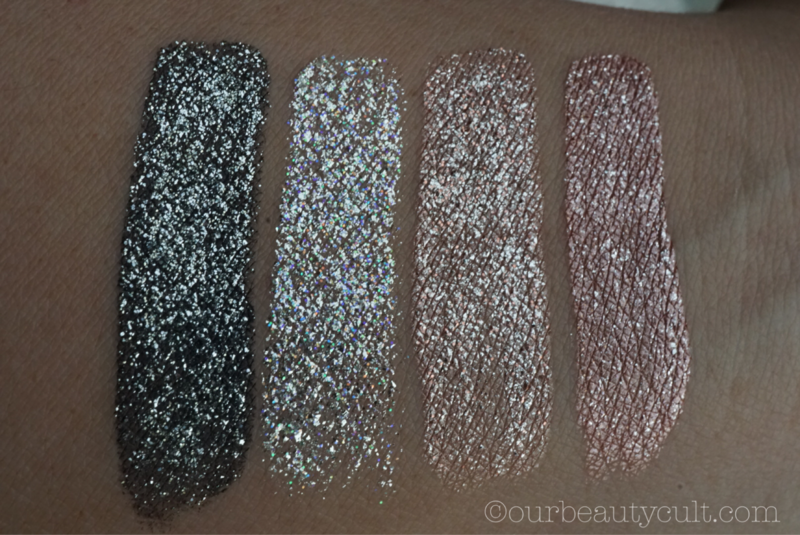 Bare Necessities Ultra Satin Lip comparisons! Totally agree. I just got my diamond dust via anaxon. I can’t afford all of them but I have cream shadis I put under to change the appearance. Anything to save a buck.